Ah, yes. A wonderful classic movie. You didn't know this, Sylvestermouse, but I did tap dancing in my teens and Fred Astaire was my idol. I have watched every movie he was ever in (many times). 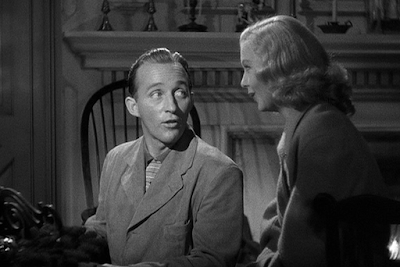 And Bing Crosby and Irving Berlin's music -- oh my. It doesn't get any better than this. Wonderful review of a perfect Christmas movie! I love this classic talent, too. 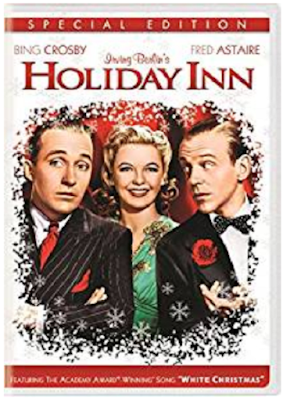 Couldn't get enough of Fred Astaire or Bing Crosby when I was a kid and still love this movie today. We are watching this one tonight.....love the dancing and the music. So much talent on that screen. I missed this movie as a child. Maybe because I lived in Europe. It sounds wonderful so I will have to get it and watch it. Thanks for the review. Merry Christmas! It's the Irving Berlin songs that draw me to Holiday Inn. Such an amazing talent. Then you add in 2 of the most gifted performers of their time (and all time) and you have a movie worth watching year after year. Great review for a great holiday movie. I have been on an "old movie" and older television show kick lately. I've never seen this. It looks like something I should watch during my vacation. Thank you for the review.